A glowing Santa Claus stands out against a dark background at a christmas display of decorations and lights in Freising, Germany. Surrounded by wreaths lit by tiny fairy lights, an illuminated Santa Claus appears to drift out of the dark Christmas display. 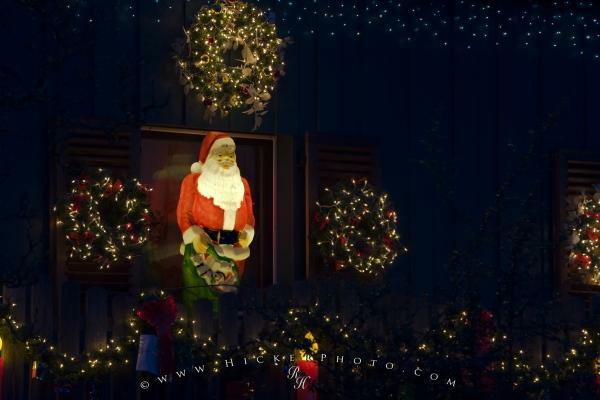 Santa Claus decoration at a house in Freising, Bavaria, Germany, Europe. Photo of an illuminated Santa Claus and small lights in a Christmas display in Freising, Germany.